If you get a chance, don’t pass up the opportunity to try these delicious veggies. They grow exclusively in the Northeastern part of the US and up into Canada. Unless you are up for foraging them yourself, your best chance of finding them is in a local market in New England. Just make sure you eat them quickly because they go bad quickly! You’ll love the crunchiness of these veggies which somewhat resembles green beans. Aside from tasting great, these strange vegetables are loaded with Omega 3, Omega 6, and iron! This strange bud gets the prize for the prettiest vegetable. Math nerds will particularly appreciate the strange vegetable for its fractal pattern and because it follows the Fibonacci sequence. The veggies, which is in the same family as broccoli and cauliflower, originates in Italy (which is where it gets its name from) but lucky people will be able to find it during summer in a green market. This ancient vegetable has been eaten for at least 2000 years and even Pliny the Elder mentions it. Throughout history, it remained popular amongst European peasants and nobles alike. Yet, in recent years, this vegetable (which Johnny Bowden said looks like “a cross between an octopus and a space capsule”) often gets omitted from the produce shelves at markets. Its exclusion isn’t fair because the ugly-looking vegetable has a succulent inside which can be eaten raw or cooked. Indulge because it is loaded with minerals like copper, manganese, and magnesium. This veggie (which is obviously a type of cactus) has long been eaten in Mexico where they make dishes out of it ranging from fries to taco filling. Just one cup of these cacti will give you a whopping 11% of the RDA for magnesium, 20% of manganese, and 14% of your calcium! Yes, this veggie does look a bit like a bowl of larvae – but it is surprisingly delicious with its nutty flavor. You probably won’t find this tuber of the mint family at any markets, but your local Asian supermarket might have it in stock. The French like to cook it in butter, but you can eat it raw as salad, pickle it, make soup, and much more. 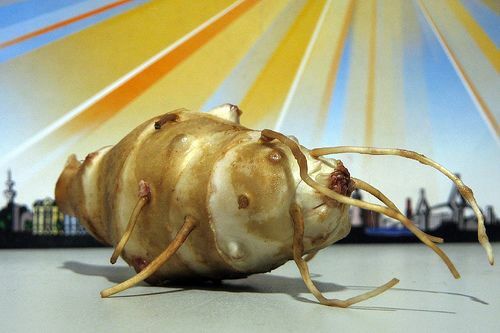 No, this isn’t a brown parsnip! This funky root vegetable is part of the dandelion family and supposedly has a flavor similar to oysters (never tried oysters, so can’t confirm that!). The plant is native to Europe and Asia but has made its way across the globe. If you get tired of eating potatoes, turnips and parsnips, try this root for a change! This is a fungi, so it technically isn’t a vegetable – but it is so pretty and scrumptious that I had to include it on the quiz. 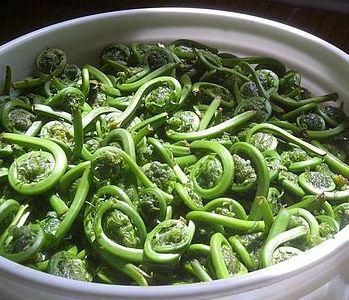 There are entire clubs dedicated to hunting this delicacy which grows in deciduous areas of the US and Canada. It is a favorite snack of grizzly bears too! Vegetarians will particularly enjoy this treat for its amazing texture which makes it one of the best meat substitutes you will ever find. They are also full of fiber, protein, iron, vitamin D, and B vitamins. For extra credit: Who can identify the vegetable in this picture?? ?